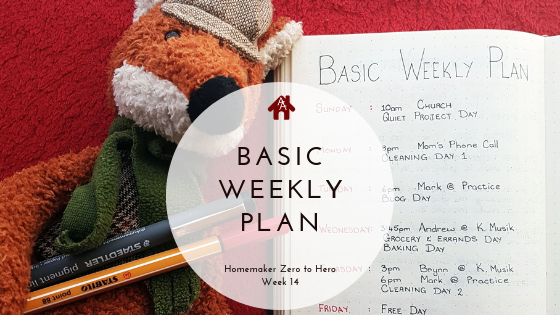 I used to cringe whenever a homemaking website or book told me I needed to create a basic weekly plan. My days are so varied, how could I plan out a whole week in advance? But then I discovered a new way of doing a basic weekly routine and I was able to change the routine depending on my week. Label the blocks Sunday to Saturday, and Any Day – You could also label the blocks Monday to Sunday if your mind works better that way. Anything that it time and day specific that you cannot change must go on your basic weekly plan first. Fill in things that have to happen on a specific day, but not at a specific time – For me, this is seeing to our gardener who comes on a Saturday. Remember these are have to items, not want to items. On the Any Day block fill in the things you need to do during the week. – You probably need to have a cleaning day and a grocery shopping day during your week. Among other things. This list will look different for each family, but I have some ideas below on what to include. Renew Your Spirit Day – a day for pampering yourself and focusing on your spiritual health. Plan and Play day – a day to plan your week and do something you enjoy doing. Family Day – a day to do stuff as a family. Rest Day – a day to do anything you want to do. Heavy Cleaning day – You spend about 4 to 6 hours cleaning. 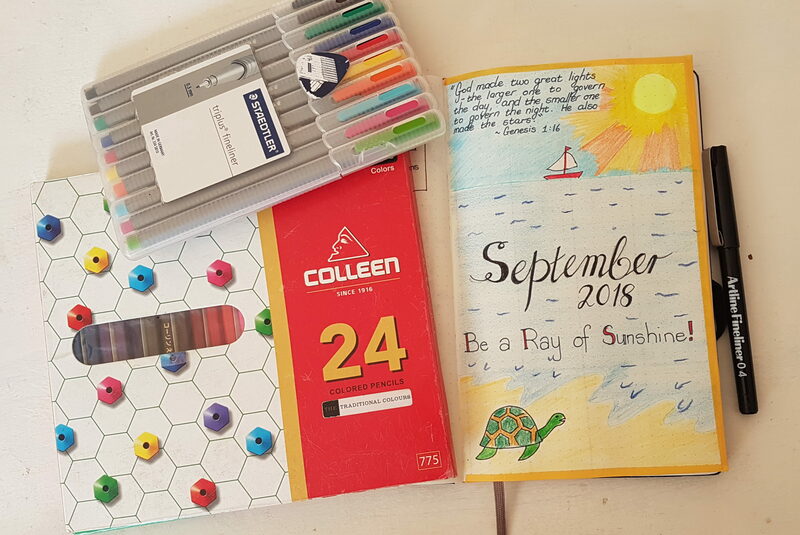 A quiet day – where you do all the desk activities like bookkeeping, paying bills, write letters etc. Quiet project day – this is a day I can do quiet household projects, sewing, crochet, gardening etc. My rule is that it has to improve our house in some way. Free day – I do whatever I feel like on this day, usually read books, watch a series or something similar. Family Rest day – I spend time with my children doing fun things with them. Movie Night – a night where we watch a movie together as a family at home. The most important thing is to remember that the examples above are only ideas. You have to do what suits your family the best. I would love to have an evening once a week were we have home cell group. And I would love a big family dinner with grandparents once a week, like I had as a child. But when I look at our schedule we just can’t fit it in as a once a week activity. By forcing it, our schedule would become too cluttered and we would burn out. When you have your list for the Any Day block, you can go through the list and decide what days in your week will fit the Any Day tasks best. For example, you might take your child to a soccer practice that is near the grocery store on a Tuesday. That means you are in the area to do your grocery shopping on a Tuesday, so it will make sense to make your Tuesday your grocery shopping day. In our family, my children visit their grandparents every Friday, so I use Friday to do anything that I cannot do with my kids hanging around. I also use it as my personal “recharge” day. Go through the Any Day block and rewrite the items on the day that suits them best in your week. If an item could fit well on 2 days of the week, then leave that item to fill in last. You might find that Grocery Shopping would fit well on a Tuesday or Friday, but you can only have a Rest day on a Friday. That means that you need to allocate Friday as a rest day and do your grocery shopping on a Tuesday. Sunday – Church 10am, Quiet Project Day, Update Calendar for the week. I hate to seem anti-feminist, but honestly, you can’t do it all. If you have a career, you are going to need help at home, especially if you have children. I have noticed more and more women becoming housewives and homeschooling moms because their salary wouldn’t cover a maid, childcare and private school for their children. If you live in a country/area where the public schools are great, then it may make sense for you to have a career. Would your career allow you to afford a cleaning service to help you? Then go for it. If you are working out of necessity rather than choice, you will still need help. 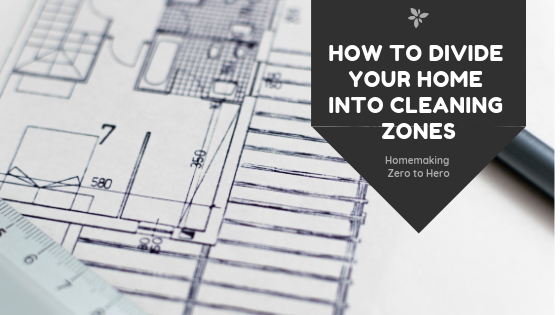 You have to find a way to get your children to help around the house in the evenings, and I also recommend downsizing and getting rid of clutter. The more stuff you have, the harder it is to keep everything clean. I inherited a lot of antique wood furniture, it takes me a whole day to put wood oil on the furniture in our house. It is a job I love doing because it is relaxing, but it takes forever. If you are working, you have to find ways to make less work for yourself around the house.